​ According to Maryland State Law, it is unlawful to stock live fish into waters of the State without first obtaining a permit from the Department of Natural Resources. You may obtain a permit by going to our pond stocking web page. 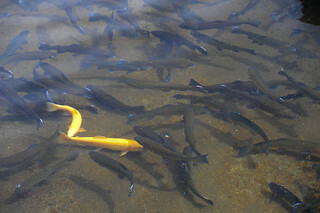 It is undesirable to stock a pond with fish from another pond, lake or stream due to the potential introduction of disease and nuisance weeds. To obtain a permits for chemical eradication of aquatic vegetation click the Maryland Department of Environment.